Best Manufacturers makes a complete assortment of high quality mashing tools. Stainless steel heads firmly attached and completely sealed with epoxy to stainless steel or wood handles. This might well be the handiest tool in the kitchen for eggs, dips, salads and is perfect to use when making guacamole. The stainless 3 inch serpentine-style wire is set in a 5/8" diameter stainless steel or wood handle and is hermetically sealed and dishwasher safe. Best's Standard Masher is a perfectly balanced tool which allows the home cook to control the texture - finely mashed or smashed to just-the-right lump size. 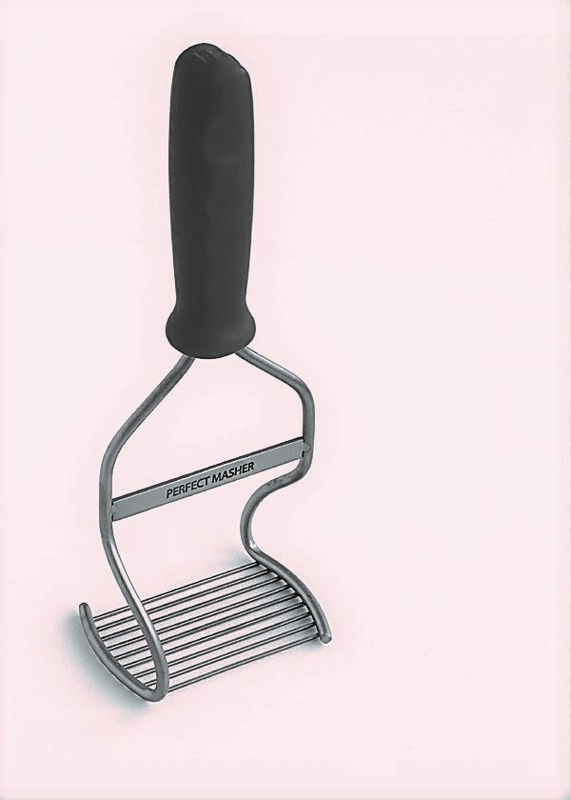 All purpose masher has a 4-1/2 inch wide serpentine-style stainless wire head, a 7/8 inch stainless, wood or red wood handle, and is hermetically sealed and dishwasher safe. Best's Waffle Head Masher has a head on it that look's just like it's name implies. The waffle shaped design is perfect for ricing or mashing potatoes or crushing fruits and vegetables. It has a 3 inch wide stainless head, a 7/8 inch stainless handle is hermetically sealed and dishwasher safe. 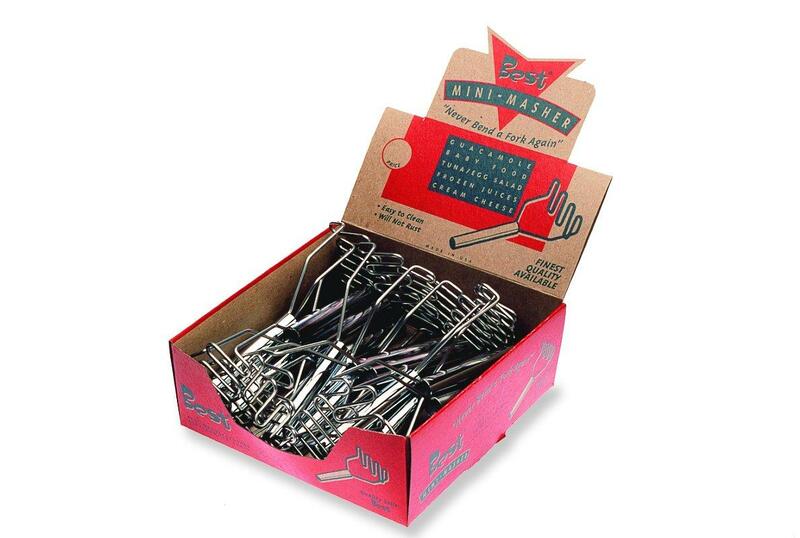 This masher is also available in your choice of Best's "Flavors". This imported masher has a rigid rectangular shaped head with diamond shaped stainless steel tines to cut through even the thickest food. With a poly handle it's comfortable in the grip and is dishwasher safe.